In practice, the main screen proved to be the most widely used one. Learning from real life, we made the landing screen to collect the most popular (i.e. frequently ordered) products in-house, so the stuff can reach them instantly. 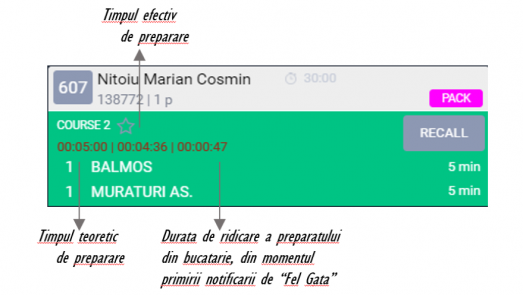 In no time from the beginning of the operation, a typical order can be completed from this unique screen. 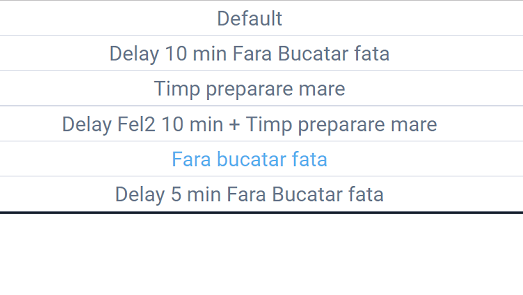 Using the long press action on “Send” or “Pay” button, brings up in an instance all the possible interactions with the order in its actual status, like moving the order to a different table, splitting the order by selecting products or based on value, or closing part of it and leaving the table opened. Use the scale tool to enter the quantity before selecting a product. But most important, the scale tool allows you to keep a clean product catalog. It makes possible for clients to order fractional quantities like half portion, while being perfect for dishes that sell per quantity. Taking orders in the traditional “list” manner is enhanced with new methods. The aim is to organize the order for the benefit of all parties involved, from guests, to staff and to the kitchen personnel. 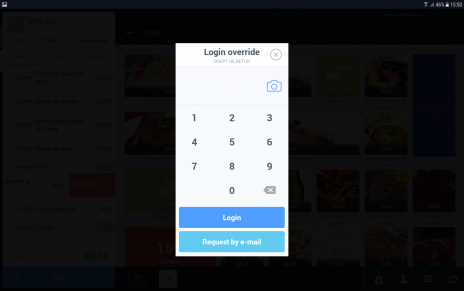 Just swipe down the order to group products into COURSES that will tell the preparation order to the kitchen, or by PERSONS to facilitate serving and payment split. As part of offering an elevated experience, meeting the customer’s demands at payment time ensures a positive feeling in a delicate moment. 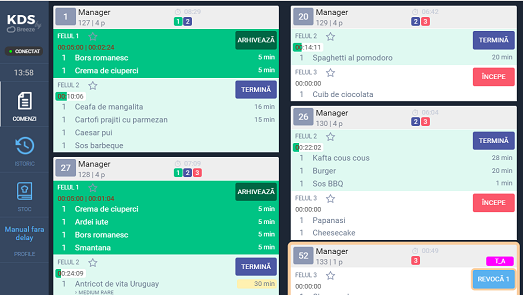 Breeze allows staff to cash in only part of the order if a guest leaves the table, or move his order to another table, join tables, split equally among all guests, even by specific products and quantities. Usually, it is the manager’s decision to allow staff to accept returned products. In order to maintain control, Breeze allows for email authorization through a simple process of tapping the link received in the email request or by using the manager’s authorization code right on the spot. Use the powerful “Search” function to find products right from the main screen. 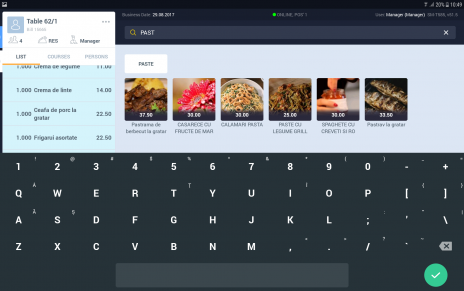 Same as Google Search, the autocomplete function changes the word as you type and gives search relevant recommendations which help waiters find the product in no time. KDS by Breeze is the most complex Kitchen Display System fully integrated with Breeze POS. It is highly flexible and adaptable to any F&B environment. It is the only solution to have an organized kitchen through communication between front and back of the house, maximized preparation efficiency and managed orders that are ready at the same time, at the right temperature for the highest client satisfaction. Data captured by the system provides insightful views for managers to make decisions easier. 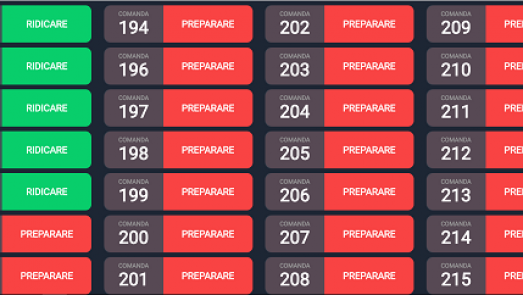 No more missing orders and No delay in preparing orders. Kitchen displays ensures that no orders get missed and enhance accuracy, decreasing the time gap between placing an order and preparation. The system facilitates communication between the front and back of the house. 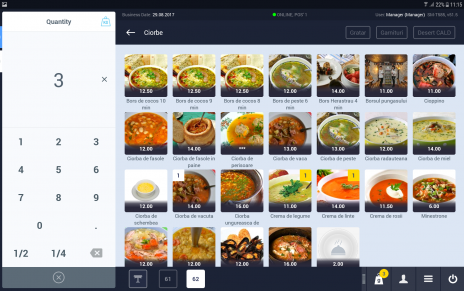 Waiters can send notifications to the kitchen, in real time, from the tablet. Thus, the waiter will spend more time in front of the house, for a better interaction with the customers. 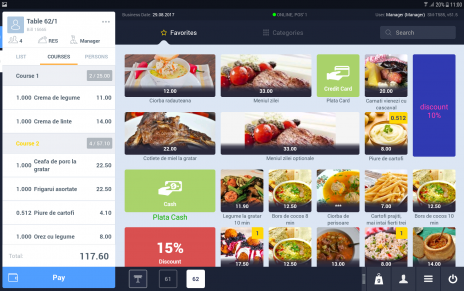 The chef will set the availability for the products and the waiters receive notifications in real time on their tablet, so they cannot sell more products than the stock availability. It is easy to configure multiple profiles with different settings and timings, in order to adapt to certain periods, busier or less busy. 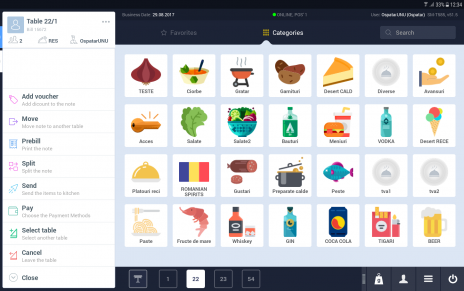 Allows different types of displaying the products, depending on the needs: the Chef will see the full order grouped by courses, while the sections will see the products depending on the cooking time. And so, all the products from one course will be ready in the same time and at the right temperature. 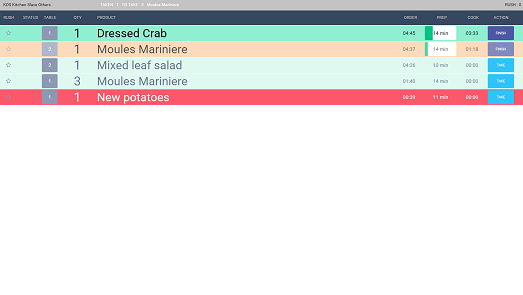 Integrated with Breeze, the Kitchen Display System can help you keep track of kitchen and serving operations. The KDS gives you in-depth reports so you could see how much time and resources are being spent on a particular order. Reports by cooking time per sections reveal under-acceptable sections, while reports by pickup time reveal serving issues. 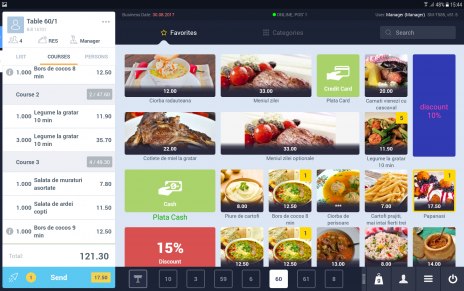 Adaptable to any restaurant, from multi-kitchen restaurants to small restaurants, from Fine Dining to Fast Food (through the following features: cook selection, fast food display, tokenizer). "Breeze surprised us from day one, all our waiters loved it! It took less than 30 minutes of training to get confident and start taking orders at the table. In just a couple of months we saw an upsell of over 10%, which was another great surprise." 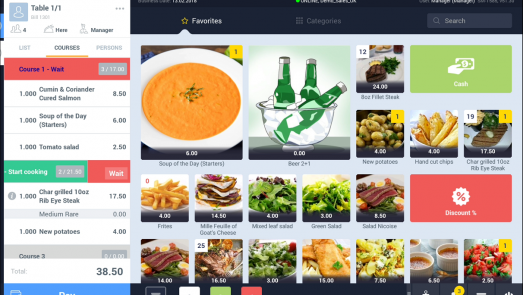 "The Breeze POS solution brought a superior coordination within our restaurants' teams and increased our customers' loyalty. The Kitchen Display System helped with reducing down to zero our error rate for serving the meals." 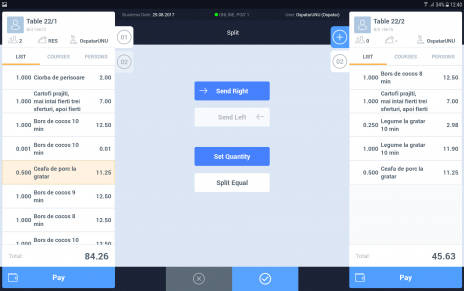 "Being aware of all major POS solutions on the market, when the BitSoft representative pitched Breeze as a revolutionary POS solution, we’ve shown some skepticism. But despite our disbelieves, the professionalism and the trust in this local solution we saw in our partners convinced us to give it a try. It turned out it was the right choice! In just one month of operating we saw real improving in operations, using Breeze helped us change the operational processes and be more efficient. Also, right from the start, we were happy to see a 10% decrease of internal loss which was a forever problem for us. Other particularity that is very important to us is the possibility to remotely control the whole activity. Anytime we can access the software to have a real image of what’s happening, visualize real-time reports, or approve sensitive operations. This gives us the certainty that all is running properly." "For us, at Rustic Restaurant, the complete solution Breeze and the Kitchen Display is a real help to be more efficient and competitive. We are extremely happy and for this we can recommend BitSoft, the team and their services to anyone." "This is a Thank You note for BitSoft team for their readiness and the professionalism in all the services you provided. The new Breeze interface and your help and dedication into pushing it into our organization helped to simplify our ordering process and directly impact customer satisfaction." Breeze is developed by BIT SOFT, Romania’s No. 1 provider of IT Solutions, Support and Consultancy for the hospitality industry, with more than 20 years of experience on the market.